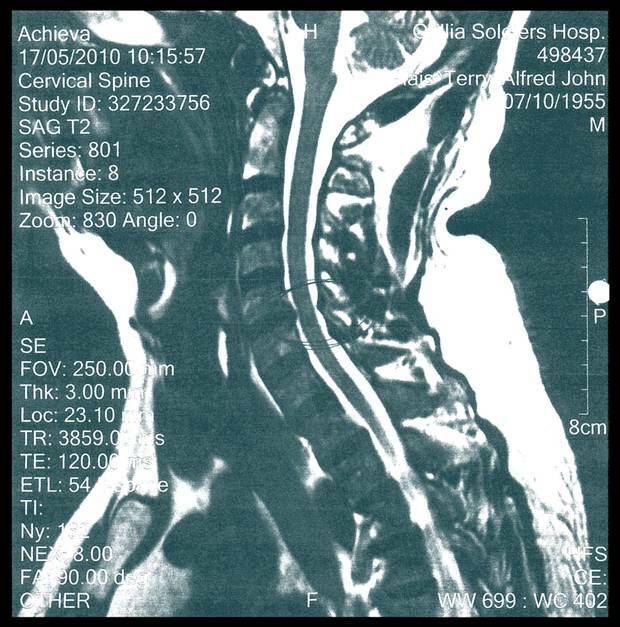 This MRI a year after his car accident shows damage to Terry Blais’s cervical spine, which deteriorated more as he fought his insurance company for benefits. For Terry Blais, the ordeal of fighting for insurance coverage was worse than being hurt in a car accident. After his benefits were cut, he discovered how medical professionals and firms that provided assessments of his condition to his insurer made his injuries appear less serious than they really were. "All I know is it wasn't done fairly," he said. 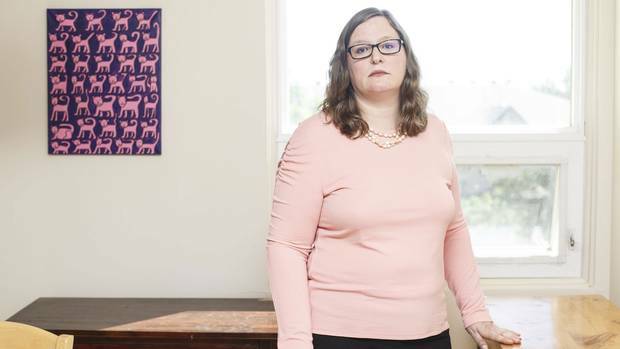 His story reveals a bigger, troubling phenomenon that The Globe and Mail has identified: Billion-dollar companies paid by auto insurers hire doctors to assess accident victims in a process called independent medical evaluations (IME), and then edit and package those medical reports. The assessment firms now play a significant role in how medical opinions are obtained and shaped for the insurance industry. The Globe has also discovered that in some cases, arbitrators and judges have rejected the assessment reports because the companies altered the medical professionals' opinions in the insurer's favour, or sometimes had even ghost-written portions of their reports for them. Mr. Blais suffered painful complications from a cervical spine injury that was discovered long after his vehicle was broadsided, giving him severe whiplash. He battled TD Insurance for six years after it stopped paying for treatment, such as physiotherapy, that the public system does not cover, and lost income. "I couldn't even sleep … or look down … because my neck would kink the wrong way. … Things were getting worse instead of better," Mr. Blais said. While building his claim for more coverage, he said, he discovered evidence in his case file records that proved some reports written for TD about him were inaccurate or misleading – reports that helped the insurer justify ending his benefits. "I started trying to get some evidence to show the insurance company, 'Look, I was treated unfairly.' And I found it," Mr. Blais said. TD had contracted Genex, a company that does injury assessments, to evaluate Mr. Blais. Genex gave some of that work to Anthony Graham, a physiatrist – a physical rehabilitation specialist – who has earned a living assessing Ontario accident victims for three decades. "The first time I read his report, I realized there was something wrong," Mr. Blais said. Dr. Graham wrote that Mr. Blais was fine to resume physical work – despite ample evidence to the contrary – because the mechanic mentioned to the doctor that he had been doing odd jobs for a friend at a marina. "My friend knew my [financial] predicament and he would get me to do stuff for him – and stuff I couldn't do, he would get others to help me," Mr. Blais said. He said he felt Dr. Graham was "trying to give the insurance company a case … ignoring some things and putting attention to other things, and just taking stuff out of context. His findings were biased. There was no other way you could look at that." Mr. Blais complained to the Ontario College of Physicians and Surgeons. The regulator chastised Dr. Graham for saying Mr. Blais was fit to work when he was not, and for a "lack of clarity" in statements "not as carefully set out as they should have been." Dr. Graham's public record with the college does not mention that criticism. Even so, Mr. Blais hoped it would bolster his fight to get the insurance company to pay. It did not turn out that way. The records show TD still wanted to use Dr. Graham's report against Mr. Blais in arbitration. The physician's lawyer expressed "concerns" in a letter to the insurance company, however, about keeping the college's criticism confidential. After negotiations between lawyers, Dr. Graham agreed to sign a legal document for TD, verifying his original report was "true," with no mention of the regulator's findings. "They go to great lengths to say there's nothing wrong," Mr. Blais said. "The people benefiting from all of this are the lawyers and the doctors that are involved." Dr. Graham and Genex both declined The Globe's request for an interview. Mr. Blais recently gave up his fight in exhaustion and settled with TD, but not before losing his home and livelihood. 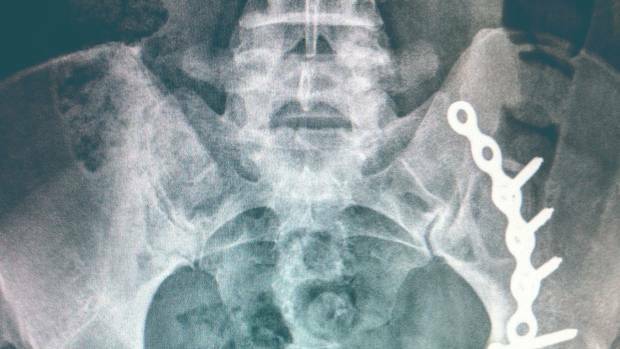 His injuries made heavy lifting too difficult, so he couldn't keep up his mechanic business. He lost his home to foreclosure. "My house was my retirement package. Everything," said Mr. Blais, who's now staying with family and has lung cancer. "It's insane. I was in an accident. Not at fault. And look at the situation I am in." His settlement has a confidentiality clause, but Mr. Blais spoke to The Globe and provided documents weeks before signing. Globe investigation: How doctors profit from injury assessments that benefit insurers Doctors are taking in millions of dollars a year by putting their names to accident injury reports for the insurance industry. But because the majority settle out of court, the practice is hidden from public scrutiny. Hundreds of Canadian physicians have signed on with several assessment companies to put their names to IME reports. The companies' physician rosters, obtained by The Globe, show most only do "paper reviews" of medical files and never see the accident victims. Some of the firms are owned by multinationals based in the United States, such as ExamWorks, a company that has seven subsidiaries in Canada. Administrators at the firms send accident victims' records to doctors, book appointments and edit the reports – for fees of about $2,000 a case over and above what the physicians get. For a time, Mr. Blais's file was managed by another firm, Sibley and Associates, which another accident victim, Laura Carpenter, is suing. A doctor's report finalized by Sibley in Ms. Carpenter's case stated there was "consensus" among a medical team that she was not catastrophically injured when, in reality, some doctors believed she was. She is now suing for $7.7-million. In Mr. Blais's case, a Sibley nurse-administrator told his insurance company that a physiatrist "indicated" his accident did not cause his neck injury. 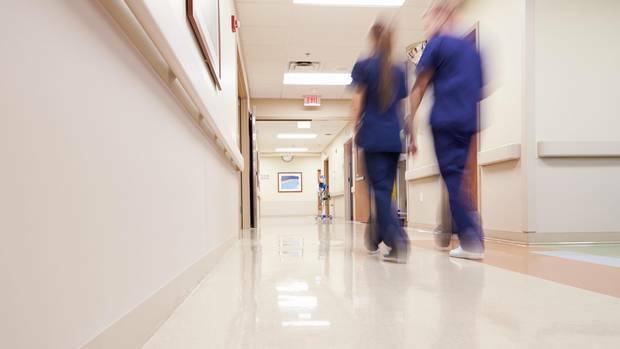 Mr. Blais knew that was not true, so he pushed Sibley for months to correct the record, finally threatening to file a complaint with the nurses' regulator. Sibley's nurse eventually wrote to Mr. Blais, admitting the physiatrist did not mention "a pre-existing condition or relevancy to the accident." However, Mr. Blais's insurance company had already denied his claims, partly based on Sibley's assessments. Mr. Blais also found an odd mistake in his records. One report cited results from a lumbar spine MRI, saying it showed no abnormalities. Mr. Blais did not have an MRI on the date listed, or with that result, a fact his doctor's office later confirmed. The MRI Mr. Blais did have on his cervical spine clearly showed his injuries. He now thinks the incorrect MRI in his report could have left the wrong impression. "I bet this happens way more often," Mr. Blais said. "I find it sort of fishy that was in here. How many people read their doctor's files?" Judges hearing auto insurance disputes have called some of the fees assessment companies charge extravagant – such as $38,000 for medical reports ordered by an injury lawyer – for just one accident victim. 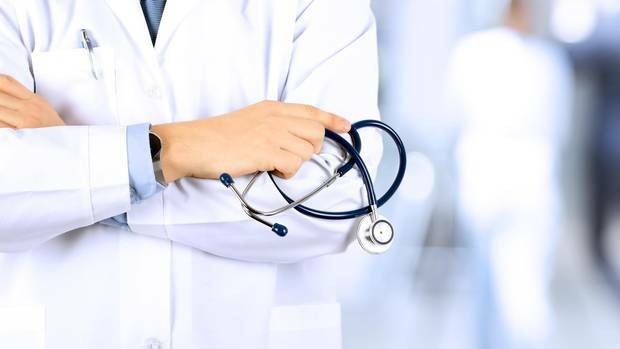 The biggest portion of that bill was from Cira Medical Services, an arm of Canada's largest privately owned assessment firm, including $4,800 for a single doctor's report. Some accident victims get stuck with those bills, even when they win their case in court. Judges often rule the losing side has to pay only a fraction of any fees deemed excessive. Even so, the assessment company gets paid in full no matter who it is working for. That means the accident victim has to pay the rest, which is what happened with the $38,000 bill; $19,000 of it that the judge found excessive was tacked on to the victim's legal costs. Assessment companies also routinely charge thousands of dollars for a missed or cancelled appointment. For example, a judge in another case took issue with a $12,600 bill for the services of one physician. It included a $6,300 "cancellation fee" for a court appearance the doctor didn't have to attend, plus a $2,000 administrative fee tacked on by Cira. The cases that go to court are just a small fraction of the number settled out of court, worth hundreds of millions of dollars to doctors and assessment firms. That money ultimately comes from all drivers who buy insurance. In Greg Smith's case, the insurance company Aviva spent $36,654 on doctor reports and medical records to fight his claim, then settled with him for $350,000. "I know at least five of [the doctors] were retired," Mr. Smith said. "It pays for their vacation home in Florida. It's a pretty nice job. You write a report for three hours and you get a nice fat cheque." Greg Smith poses for a photo in a park where he regularly walks his dog Stella in London, Ont., on Nov. 21, 2017. Mr. Smith was hit by a car while riding his bike and suffered serious injuries, including complications from a concussion. The self-employed consultant struggled through seven years of assessments by multiple doctors before he got his payout. "It was non-stop," Mr. Smith said. "Not only do you have to fight through your injuries, you have to fight with your insurance company. I was having headaches and back pain. There were days when I couldn't get out of bed. "I was almost ready to declare bankruptcy twice during this time … and there were times in a lot of the reports where things [doctors wrote] were wrong." A review of several cases shows assessment firms often provide fill-in-the-blank templates for medical professionals to use as a basis for their reports. A recent Ontario court case revealed that a "quality assurance" person with assessment company Seiden Health Management compiled four pages of a report, using a template, on a seriously debilitated car accident victim. Seiden then gave the completed section to occupational therapist Hadassah Lebovic to cut and paste into her assessment. Ms. Lebovic admitted in court she compiled and signed that report without changing the part Seiden wrote or doing any cognitive testing on the victim. The report concluded he had no cognitive impairments, in stark contrast to every other medical opinion. Even so, the jury sided with the victim and awarded him $2.93-million. Seiden did not respond to The Globe's request for an interview. In a B.C. case last year, a judge rejected a report from physiatrist Benjamin Clark, who admitted an associate wrote the first eight pages. The report concluded the victim had no injuries related to the accident. Dr. Clark admitted he spent only 15 minutes with her, on a day when he did 10 such assessments. Ghost writing is now a serious enough concern that, in one case, an Ontario judge recently ordered a medical assessment must be written by the doctor, not "partly written by administrative staff or other individuals," adding that ghost writing "wreaks havoc." A second judge followed suit this year. He also raised serious questions about the overwhelming majority of reports that never get to court, stating: "The real danger is, what about the cases that were settled based on the expert's opinion as stated in the report without ever going to trial? The parties, counsel or the court at a pre-trial would never know if it was solely written by the author of the report or not." It appears questionable practices have been going on for some time. Eleven years ago, an assessment company rewrote portions of an IME report by physiatrist Frank Lipson without his knowledge, making it more favourable to the insurance company. The final report Dr. Lipson never saw was signed with a stamp of his signature. A judge called it "unwarranted and undesirable interference." In another case, occupational therapist Karla Ellis discovered a company had altered a report she wrote when the accident victim filed a complaint to the therapist's regulator. Ms. Ellis told her regulator she had no idea the report had been changed. The investigation proved the report Ms. Ellis filed was different from the final IME sent to the insurance company. The regulator determined that the report had "factual errors" and had an "egregious impact" on the victim, who was denied insurance coverage. The therapist was not disciplined, and her regulator had no jurisdiction to go after the company. Unlike medical professionals, assessment firms are private and unregulated. According to a provincial body that has arbitrated disputes in no-fault cases, the cap had serious, unintended consequences – a huge spike in the number of quickie "cut and paste" or "doctored" reports. Minutes from a Financial Services Commission meeting in 2011 show a senior arbitrator said it was obvious in hearings that some reports compiled by assessment companies were "not the same report created by the doctor." Another arbitrator stated, "almost 100 per cent of all assessments are doctored – in that the actual doctors and assessors are not able to do most of the report for $2,000 … [the assessment companies] are the ones setting up most of the report and then doctors actually write a small portion." In B.C., the single public auto insurer said it began noticing more "ghost writing" in recent years by administrators at assessment firms. The Insurance Corporation of B.C. now stipulates in its contracts that ghost writing will have "significant consequences" for assessment companies, including being shut out of ICBC business. Like Ontario, it has also capped what assessment companies and doctors can charge per report, aiming to save $21-million a year. Several accident victims The Globe talked to think the system needs much bigger changes. "It was ridiculous how many IMEs I went through. … It was fighting, years of fighting," Mr. Smith said. "They are supposed to be unbiased. But how can you be unbiased if someone is dropping thousands of dollars in your pocket?" "How can the insurance industry justify all of this?" Mr. Blais asked. "It's not just a mess for me, it's a mess for everyone." Editor’s note: An earlier version of this story on injury assessments incorrectly said an Ontario judge criticized an evaluation done on an accident victim by physiatrist Max Kleinman. In fact, Dr. Kleinman was provided with a questionnaire prepared by an assessment firm but he didn’t fill it out and didn’t do any evaluation. The judge’s criticism was of the questionnaire, not Dr. Kleinman. This is a corrected version.